View instant online proof! 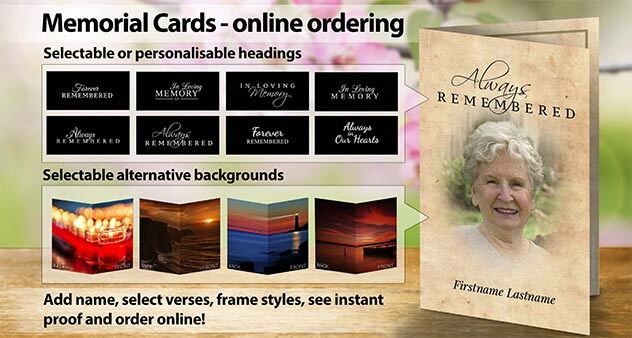 Use our online personalisation system to order folding laminated memorial cards. 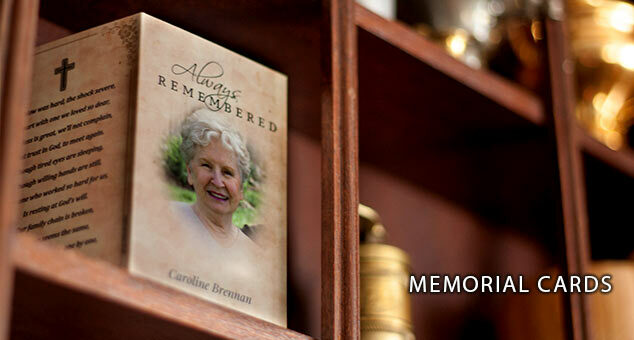 Order fully custom design - work with our designer to create unique memorial card. Send your images, verses and ideas. Unlimited proofs. Select card type below. Then select a design, personalise it, approve an online proof and order online. 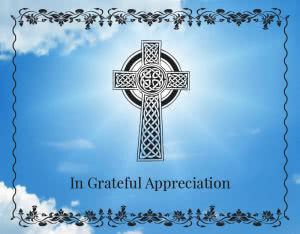 You can try different card designs, backgrounds, frames, headigns, text and verses until you are happy. Then just check out fast - no registration required. 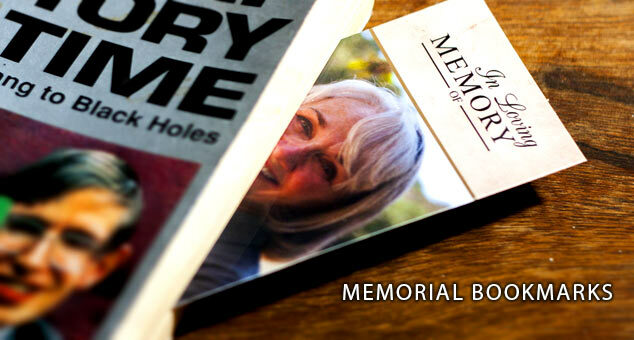 We specialise in design and print of high quality Memorial Cards (In Memoriam cards), Wallet Memorial Cards, Memorial Bookmarks, Acknowledgement Cards (also - Funeral Thank You Cards) and Memorial Keyrings. 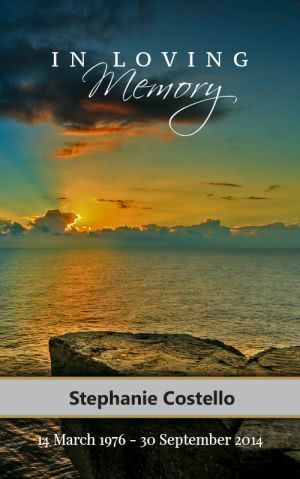 We offer selection of memorial card designs you can personalise online. 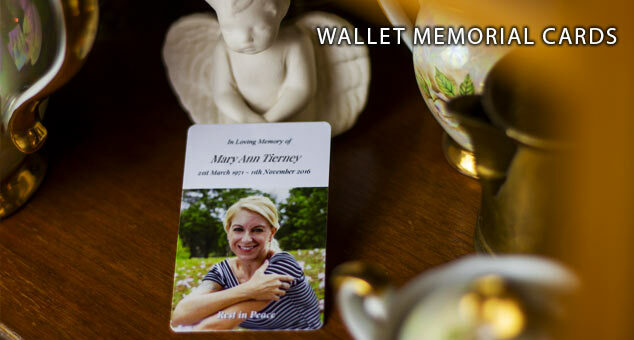 Just upload your photos, add or select pre-defined text, preview your card and order online. The whole process is simple while giving you a lot of control over the look of the card. 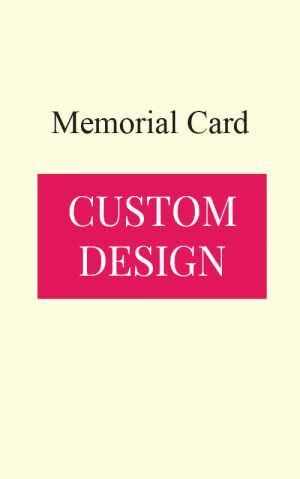 If you require a unique memorial card design, we welcome you to work with our designer to create fully custom one. In such case please ring us or contact us through contact section. 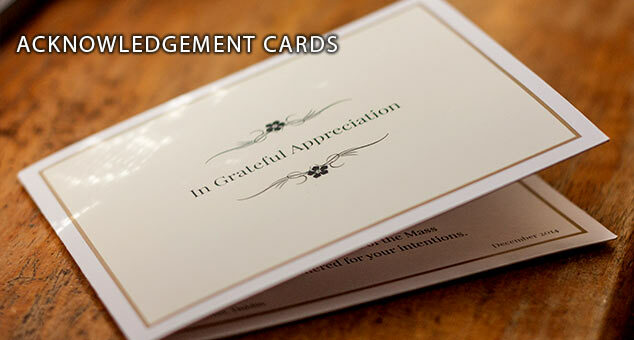 Please read this article to find out more about quality of memorial cards we print. Our online system is easy to use - just fill in your information and upload photos. The system tells you exactly what page and part of the card you are editing and offers content suggestions. Also, you can choose from a broad range of predefined backgrounds, verses and frames to create a design that suits you best. After entering all your information you will be able to see high resolution proof so you can make sure everything is exactly the way you want it. You can then proceed to order or make changes to your design. To order online just browse our designs, pick one, personalize and order online. 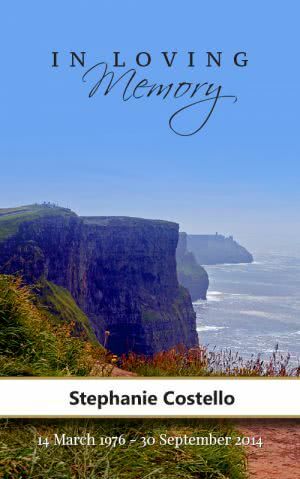 These 4-page folding laminated Memorial Card designs (72mm wide x 115mm high - 2.83 in x 4.52 in when folded) can be personalised and ordered online. Click on green background styles button where available to see alternative versions of the design. 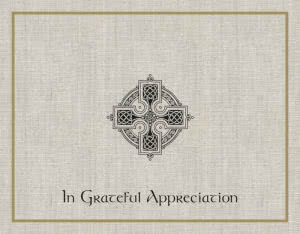 These double sided Acknowledgement Card designs (115mm wide x 90mm high - 4.52 in x 3.54 in) can be personalised and ordered online. Click on green background styles button where available to see alternative versions of the design. 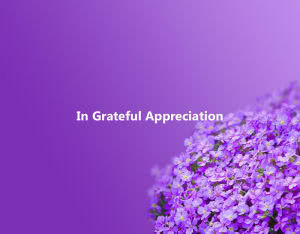 Even if you can't order your cards from us for some reason, we can still help you. 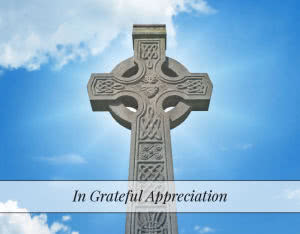 We offer free designs of memorial and acknowledgement cards. 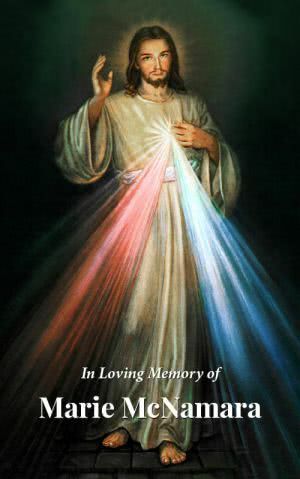 You can presonalise them and download in high resolution print ready pdf file. Then you can just give the file to your local printers and get your cards done with them. Full power of our online system is here for you to use – completely free. We are the first company in Ireland to offer such facility. 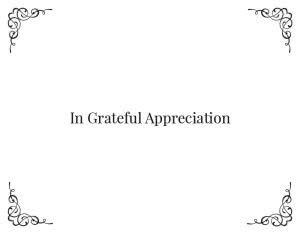 Even though we are small, we give what we can to those who may need it – especially in a difficult situation of going through a personal loss.